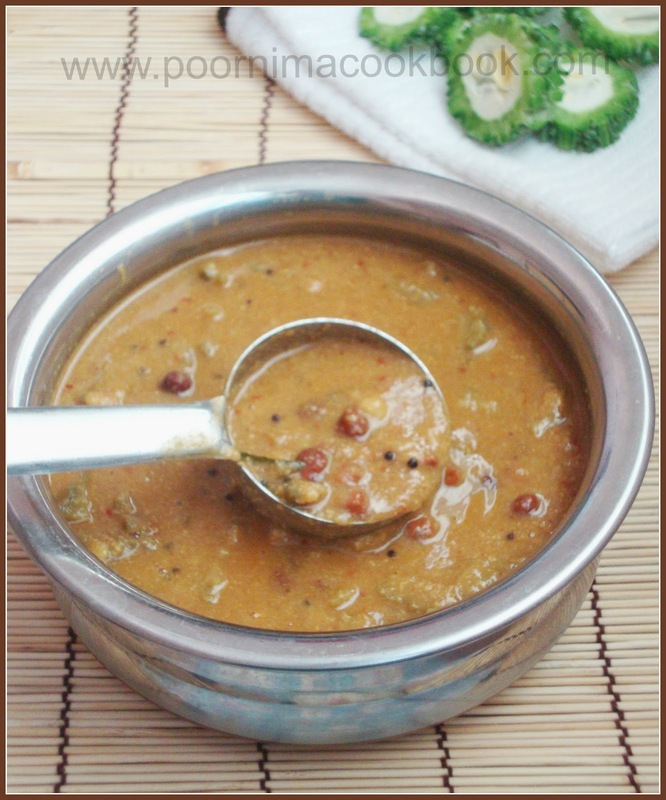 Pavakkai Pitlai / Bitter gourd Pitlai is a very traditional and also a popular South Indian veg gravy prepared using dhal ( lentils) and vegetables. Today I want to share the bitter gourd pitlai recipe which I learnt from my brahmin friend Latha balaji. Though it sounds very new; the taste was very nice and healthy too. One special thing about this recipe is you will feel the bitterness of the bitter gourd and even my son ate without any complain! Try this and give your feed back. Take a pan, heat a tsp of oil and fry red chillies, coriander seeds and bengal gram dhal till it turns golden brown. After that add coconut and fry; switch of the gas. Once it cools down; grind it into smooth paste using water and keep aside. Soak black channa overnight and pressure cook till it becomes soft and keep aside. Pressure cook the thuvar / toor dhal till it becomes soft and keep aside. Wash and peel the skin (don't peel the skin completely; take out only the outer thick layer). Slit it into two and remove the seeds; then chop into bite sized pieces and keep aside. Heat oil in a kadai, season it with mustard seeds, once it splutters add fenugreek seeds, curry leaves, hing / asafoetida and red chillies.After that add chopped bitter gourd and fry in medium flame. Once the colour changes add cooked black channa and tamarind water. 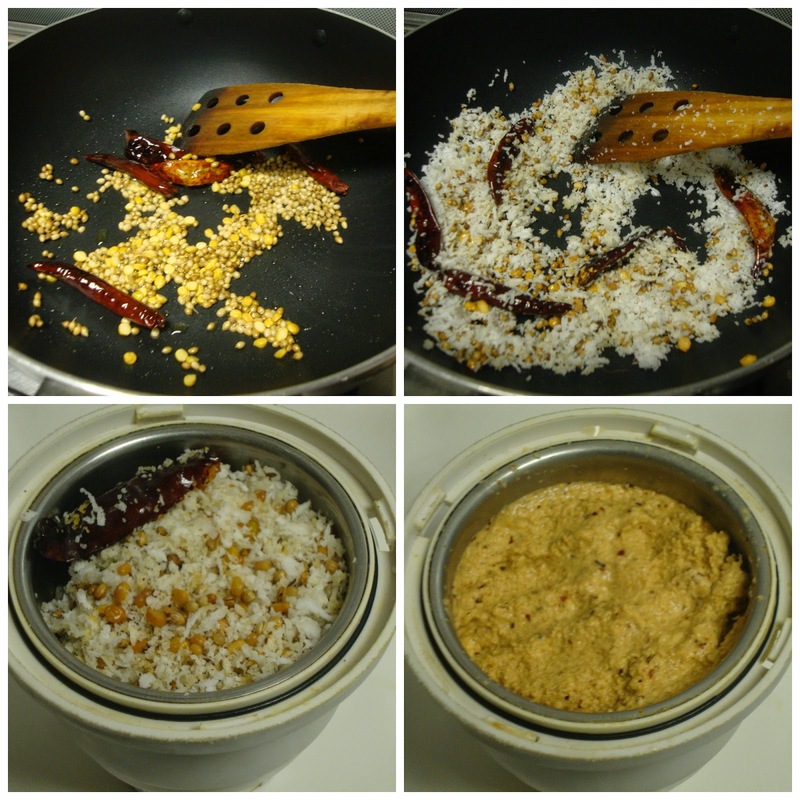 Once the water starts boiling add the ground paste and cooked toor dhal, salt and mix well. Close the pan and allow to cook till the raw smell of the gravy goes and becomes thick in consistency. Serve hot with rice paired with any poriyal / veg stir fry and pappad! You can adjust the tamarind, salt, red chilli amount according to your taste bud. 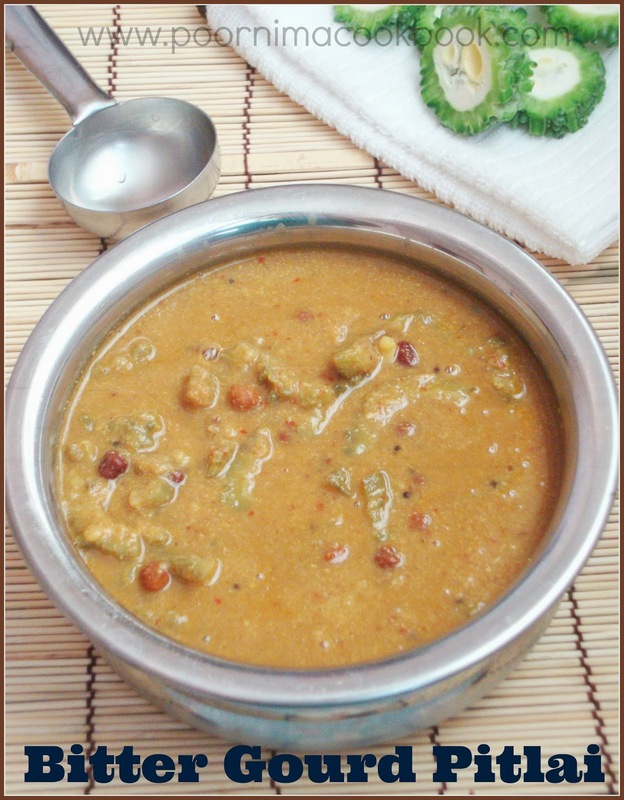 Instead of black channa you can add channa dhal or peanuts to prepare this dish. 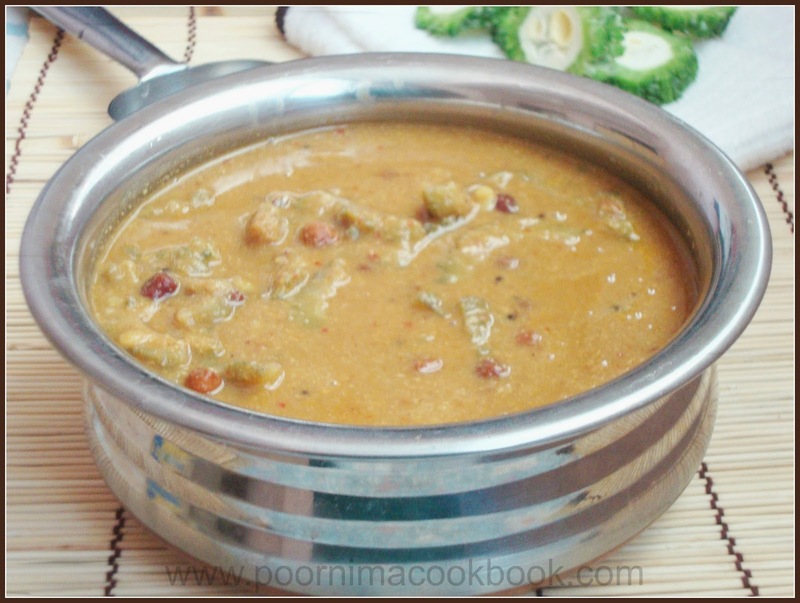 You can also prepare this dish only with toor dhal / thuvaram paruppu. Tasty curry i like the mild bitterness in curries. Superb curry.